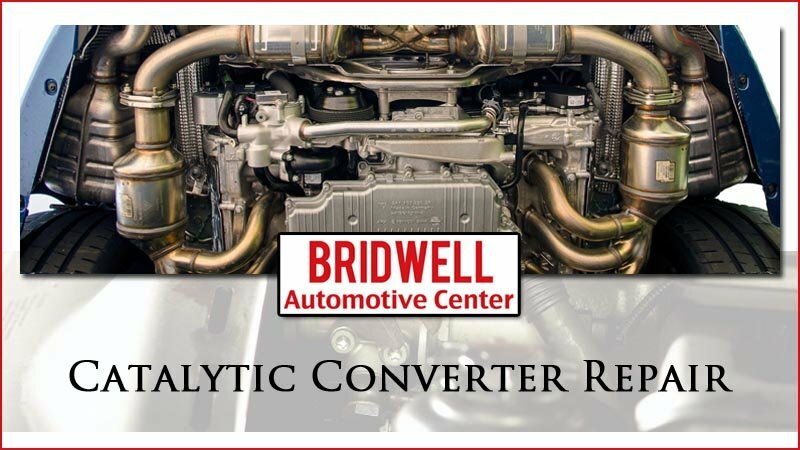 If you’re searching for catalytic converter repair near me in Scottsdale, Paradise Valley, or any other cities in Phoenix Valley; Bridwell Automotive Center is here to help! Our ASE Certified automotive repair technicians can inspect your catalytic converter and provide the repair or replacement services you need. Your modern car, truck, suv, or van as a catalytic converter to control the emissions that are created by running your engine. The catalytic converter runs at very high temperature to burn off harmful pollutants such as unburned fuel before they are passed to the muffler. From noises and failed emissions testing to technician performed diagnosis your catalytic converter can affect the overall performance of your vehicle. Read about the common catalytic problems and symptoms below. If your engine isn’t running correctly it may be passing more unburned fuel into the catalytic converter. If this is happening the converter will do its job, but also run at a higher temperature than designed. This excessive heat will cause the catalytic converter to melt. One obvious sign of a problem with the catalytic converter is a rattling sound. If yours has been exposed to excessive heat from rich fuel mixture the mesh inside the unit can break apart of collapse. This will cause a rattling sound that gets louder with age. A sign that you’ve got a bad catalytic converter is a clog. Technicians can check this for you by temporarily removing your oxygen sensors. If there is a drastic change in the performance of the vehicle you can guess the catalytic converter is going bad or is clogged. Every mile and gallon counts these days and if your catalytic converter is going out, it can cost you in fuel efficiency. While it might not seem like much to lose a mile or two per gallon it adds up over the time you own the vehicle and raises the cost of ownership. If your catalytic converter has been having problems signs of it might be in the exhaust system. If it has become too hot there is a chance that materials of melted catalytic converter can be found elsewhere in the exhaust system. One of the first signs that your catalytic converter is going out is a failed emission test. If your vehicle is putting out higher pollutants than designed the catalytic converter may be part of the problem. For your vehicle to run at peak performance exhaust needs to be moved away from the engine efficiently. If your catalytic converter is having problems, it will cause air to stay and backup causing diminished performance of your vehicle. 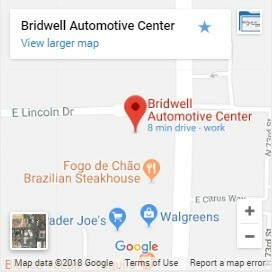 If you’ve got noises, diminished performance, or aren’t getting the gas mileage you’re used to, call Bridwell Automotive Center today! Our highly trained and ASE Certified technicians can repair a catalytic converter on any make, model, or year of vehicle.